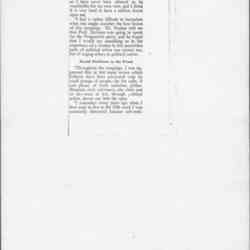 Addams gives praise for Judge Tuley's efforts to rule fairly and apply laws progressively. 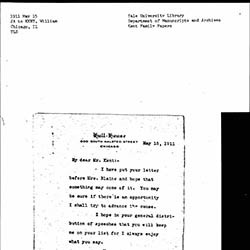 Kent writes Lawson about his endorsement of Robert LaFollette for President as a means to build a progressive coalition. 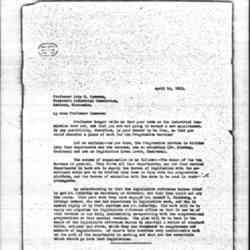 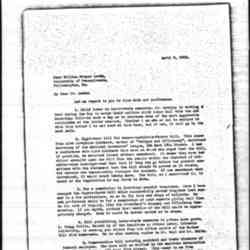 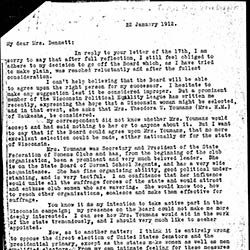 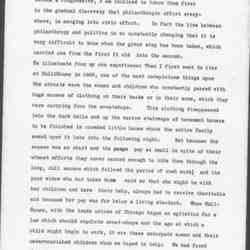 Addams writes Kent that she has forwarded his letter to Anita Blaine about contributing to the presidential campaign of Robert LaFollette and adds that she will do what she can to support the cause. 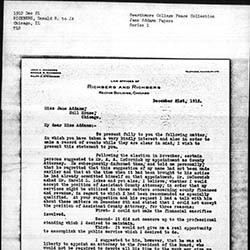 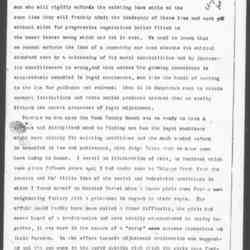 La Follette writes Dennett about her reasoning for going off the board of the National American Woman Suffrage Association, recommends a successor, and shares some political opinions. 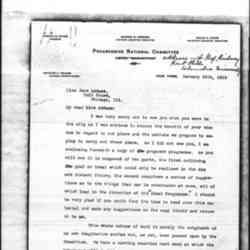 McDowell complains to Addams that Roosevelt made a mistake by courting white Southerners and ignoring the needs of southern African-Americans. 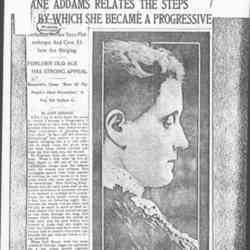 Addams argues that women's interests coincide with the work the Progressive Party is doing and that they should support it. 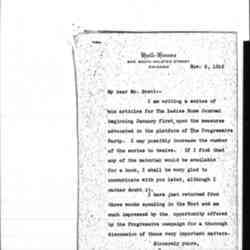 Kellor sends Addams the Progressive Party's plan for education, notes Theodore Roosevelt's enthusiasm for the effort, and asks Addams to suggest names. 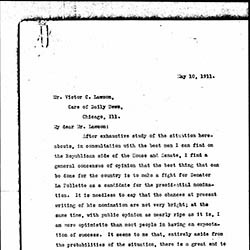 Addams writes Roosevelt about the positive impact of the Progressive Party campaign on social reform issues. 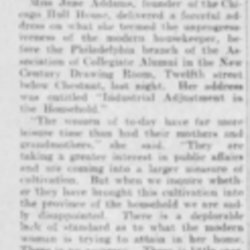 Addams discusses her impressions of the campaign and election results in a speech to the City Club on November 13; the report of the event was published on November 27. 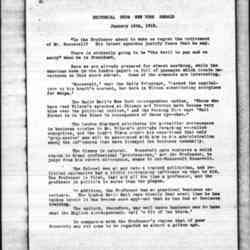 Other speakers at the event were not included. 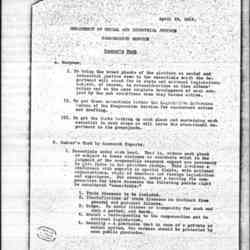 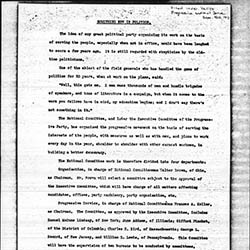 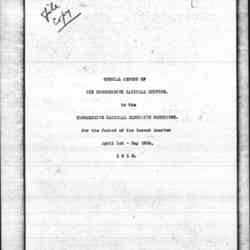 In this article written for The Survey, Kellor describes the work of the National Committee of the Progressive Party in the aftermath of the 1912 election. 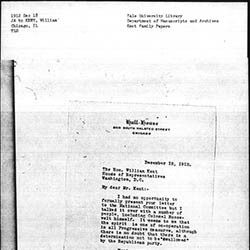 Kent suggests to Addams that Woodrow Wilson supporters could combine forces with the Progressive Party to work on America's great humanitarian issues. 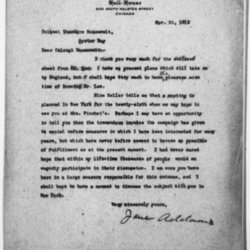 Addams tells Kent she discussed his letter with Roosevelt and other Progressives and that they seek cooperation with the Republican parties, but refuse to be swallowed up. 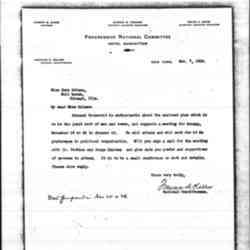 Richberg discusses the reasons he declined appointment as Cook County Assistant Attorney. 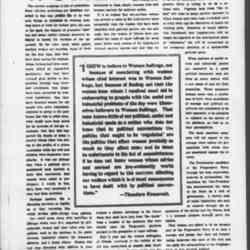 The New York Herald warns that businessmen may be sorry they chose Woodrow Wilson over Theodore Roosevelt, claiming Wilson was untrained and unfamilar with the needs of business. 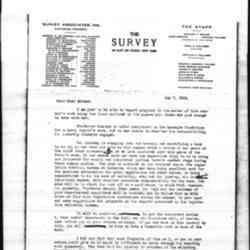 Kellor seeks to increase the breadth of membership in the Progressive Service and asks for names of men and women in who may be interested. 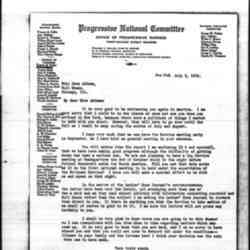 Kellogg asks Commons to do some work for the Progressive Party. 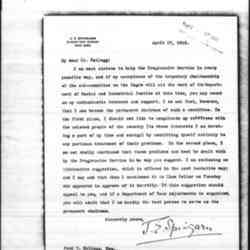 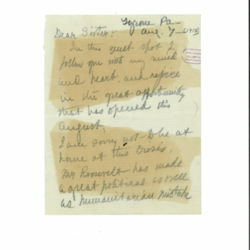 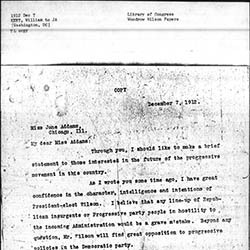 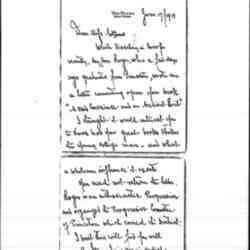 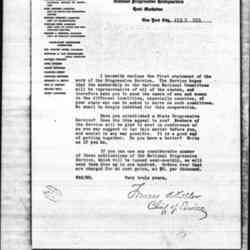 Spingarn writes to Kellogg that he is eager to help the Progressive Service and offers a suggestion on how best he might do that. 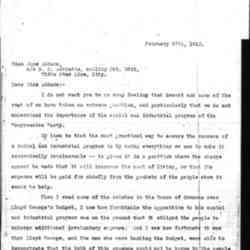 Kellogg reports on recent work that has been done while Addams is abroad. 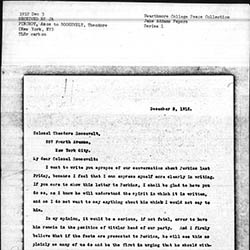 Straus tells Addams that his son enjoyed her book and organized the Progressive Committee of Princeton. 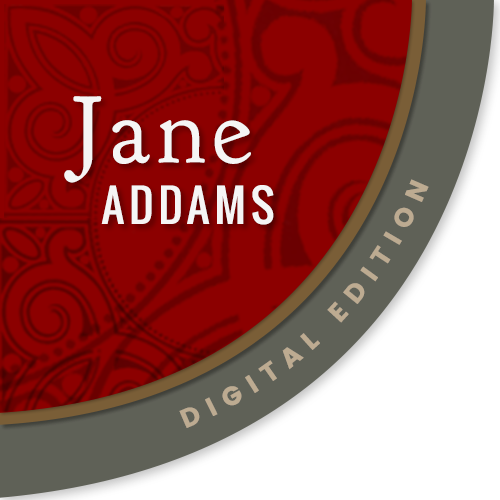 Kellor writes Addams with updates from the Progressive Service and shares plans about a meeting in September.